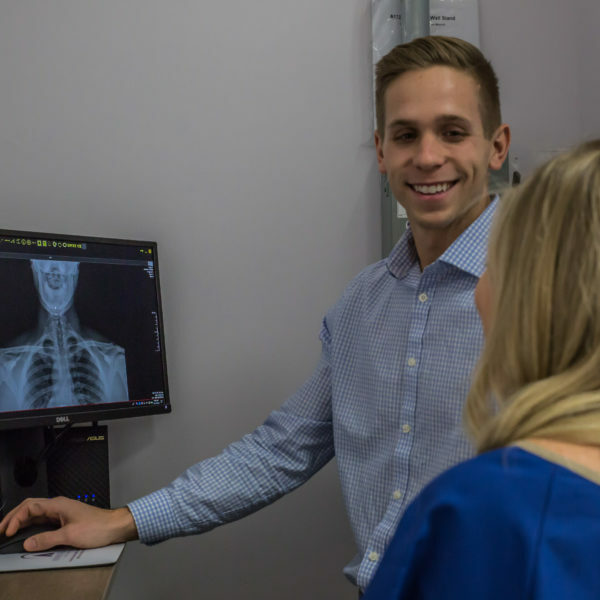 When you walk into Aspiring Health Clinic of Chiropractic, you will feel the warmth of our professional, caring staff in the comforts of a clinic dedicated to identifying and resolving your health care concerns. 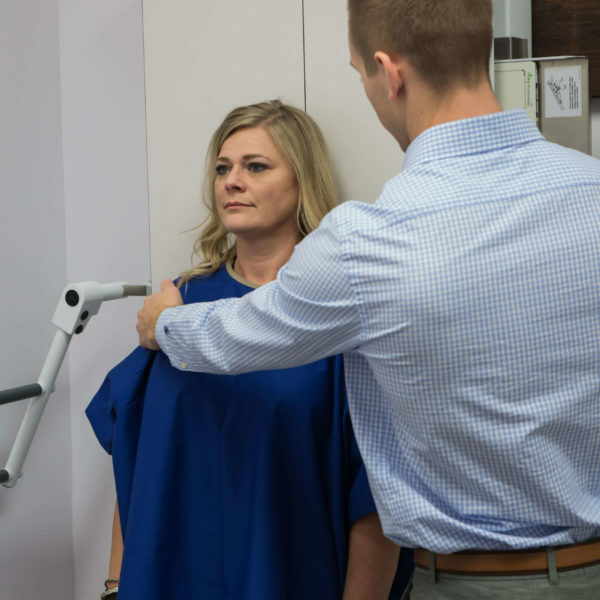 We will first listen to your health concerns, followed by our comprehensive assessment of your spine. 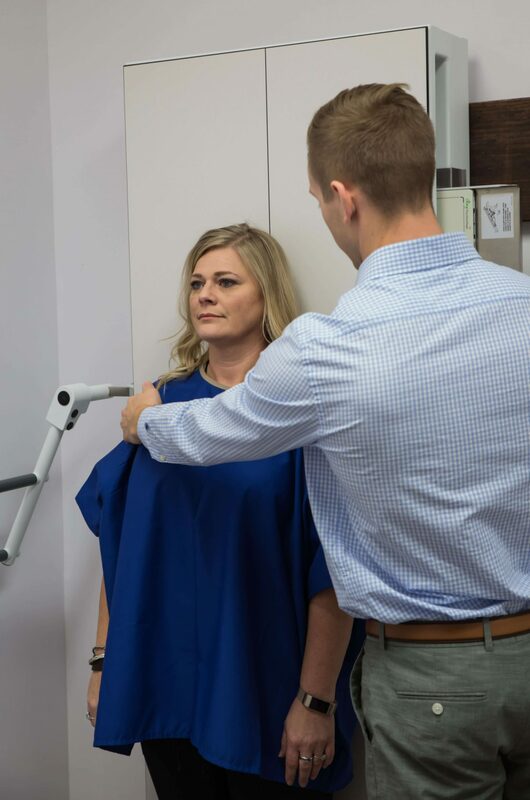 This analysis will determine your customized treatment plan, including hands-on adjustments that are gentle, effective and safe. Dr. Ditmarsen uses visualization to cross-reference all the other findings. He is an expert in looking for subtle changes in posture and movement which could indicate any problems or pain points. 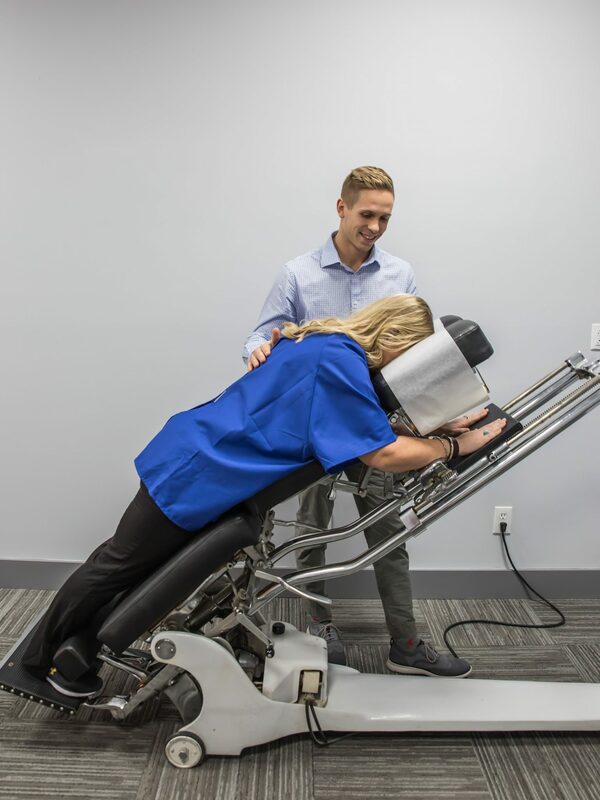 The Gonstead System uses an instrument called the Nervoscope to detect uneven distributions of heat along the spine which can indicate areas of inflammation and nerve pressure. This Nervoscope is guided down the length of the back and feels like two fingers gliding down each side of your spine. This is the process of feeling (or palpating) the spine in a fixed position. 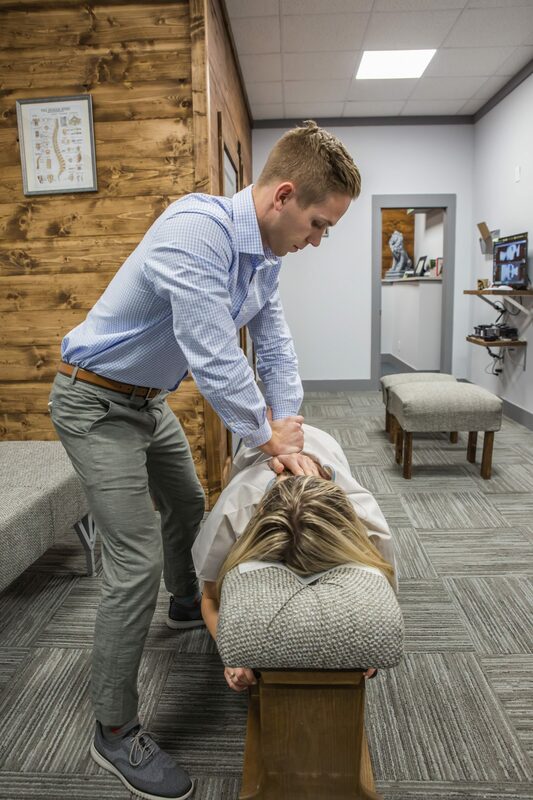 Dr. Ditmarsen will feel for the presence of swelling, tenderness, abnormal texture or tightness in the muscles and other tissues of the back. This process involves feeling the spine while moving and bending it at various angles. 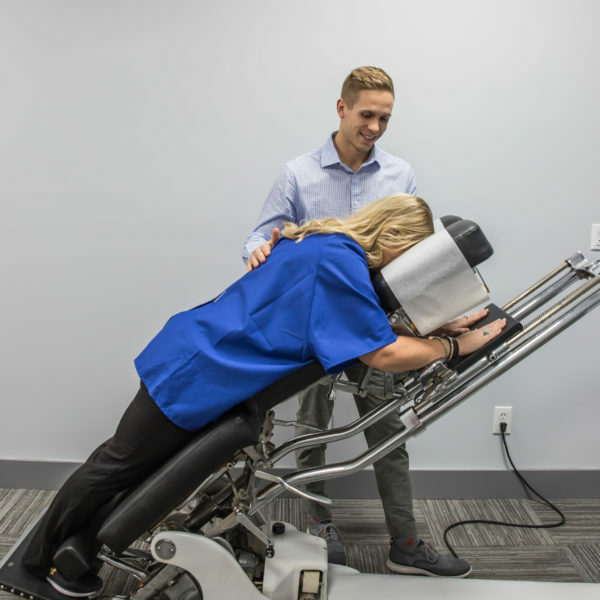 This enables Dr. Ditmarsen to determine how easily or difficult each segment in the spine moves in different directions. X-ray films help us to visualize the entire structure of the spine. 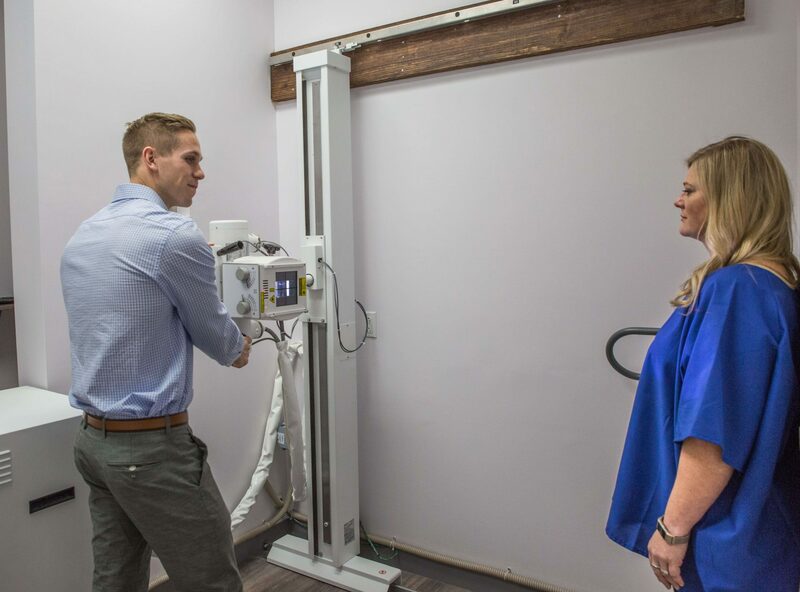 This helps to evaluate posture, joint and disc integrity, vertebral misalignments and ruling out any pathologies or recent fractures that may be present or contributing to the patient’s condition. 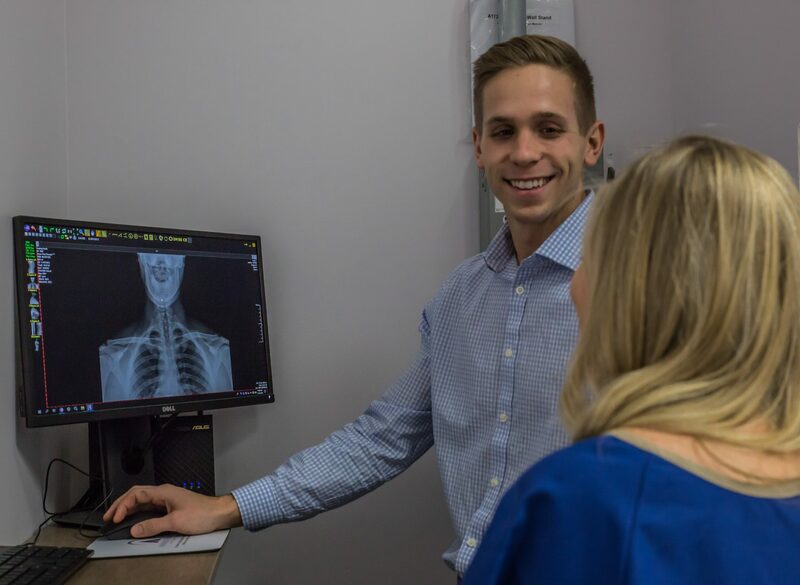 These full-spine radiographs are taken in the standing, weight-bearing position to fully substantiate the examination findings. 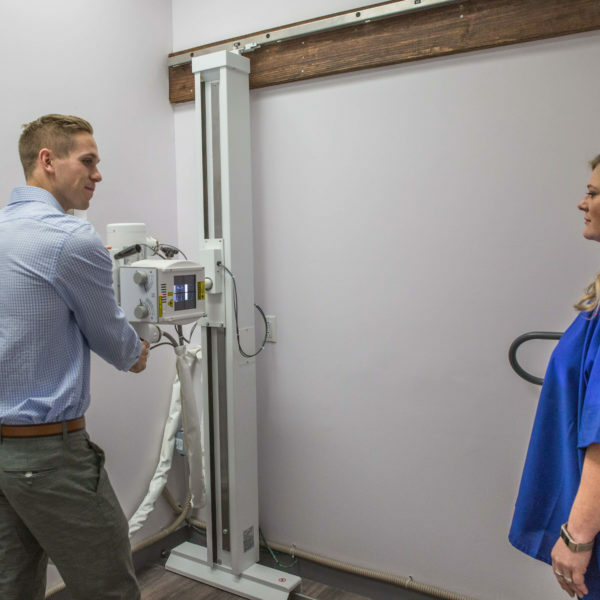 Dr. Ditmarsen has had great success relieving pain in areas other than your spine, with a specialization in knee pain and shoulder pain. If you have any aches outside of the spine, be sure to ask the doc on your visit.